Varsity celebrates after beating Brossart in the district finals tonight. 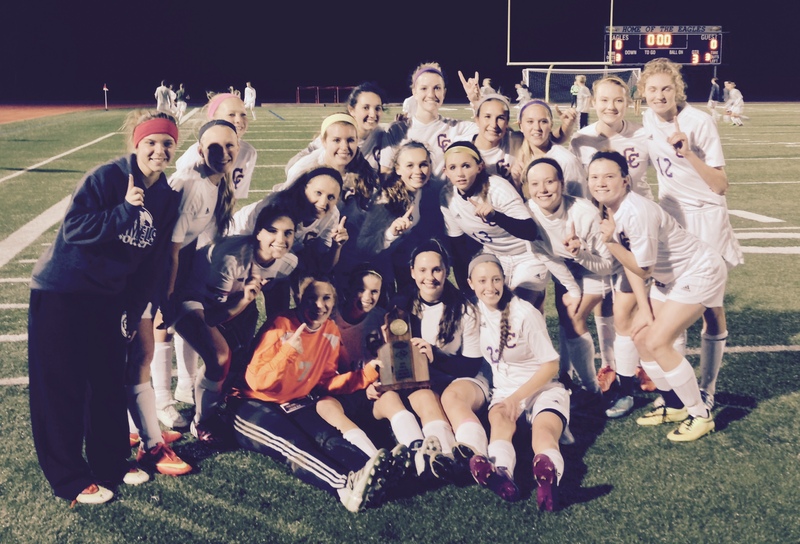 Varsity soccer defeated Brossart tonight in the 37th district finals 0-0 (4-1 penalty kicks). This is their first district championship. Holly Schwarber was named MVP and Alyson Kuper, Carolyn Bertsch, and Bryanna Schroers were named to the all tournament team.